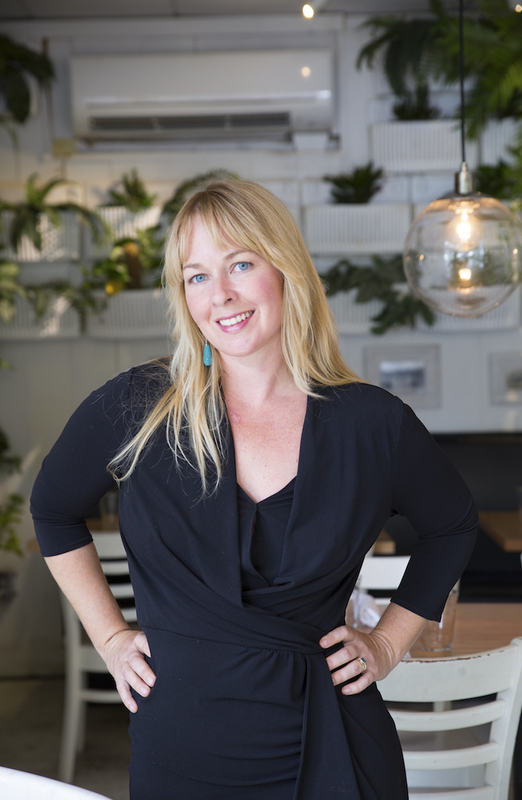 Known as one of the most prolific and progressive restaurateurs in Charleston, SC, Karalee Fallert has been the driving force behind many of the city’s most popular restaurants for 17 years. Originally from Clovis, CA, her culinary education began at Utah Valley University in 1996. After studying culinary arts and visual merchandising for two years, she decided to get back in the field and headed east to pursue her restaurant business dreams. She knew she’d found the right coast when she took a road trip down Highway 17 and crossed the bridge to Charleston in 2000. Karalee started out as a server in several Charleston restaurants, then eventually opened the popular tapas bar, Raval, on Upper King Street in 2005. She continued with several more establishments: Taco Boy Folly Beach in 2006; Taco Boy downtown in 2009; Monza in 2007; Closed for Business in 2009; The Royal American in 2011, and The Park Cafe in 2014. In addition to opening and owning many of Charleston’s most popular restaurants, Karalee is a long-time advocate of community projects. She co-founded The Green Heart Project in 2009, as a small school garden at Mitchell Elementary School in downtown Charleston, with the intention of reconnecting the students with fresh, locally grown produce. The garden projects have since grown to seven other schools across the Charleston area and all of Karalee’s restaurants regularly source vegetables from them. Southern Living magazine recently named Karalee one the South’s “most beautiful women” for her contributions to The Green Heart Project and the Historic Charleston Foundation presented Karalee with the IMPACT award in 2014 which acknowledged her as a local champion and pioneer. She was also named one of Charlie magazine’s “50 Most Progressive People” in 2015, and the Charleston Regional Business Journal named Karalee one of the top “40 Under 40” people in Charleston the same year. Karalee is currently prepping for her next two restaurant concepts which will both open in 2018: the third Taco Boy in Summerville and the Wiki Wiki SandBar on Folly Beach.